The Legend of Qin (Chinese: 秦时明月; pinyin: qín shí míng yuè), also Qin's Moon, is a CG Chinese animated TV series written and directed by Robin Shen (Shen Leping). The story is based on the novel of the same name by Taiwanese writer and entrepreneur Sayling Wen (Wen Shiren). 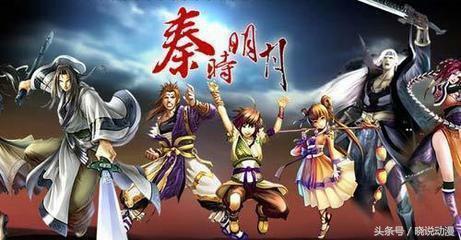 It is China's first 3D wuxia animation, produced by Sparkly Key Animation Studio (Sparkly Key) in Hangzhou, Zhejiang. The title literally means "The bright moon of Qin Era", quoted from a famous Chinese poem. The poem’s hero Ming (bright) appears as the character Tianming and heroine Yue (moon) appears as the character Yue-er. This TV series was first broadcast around Chinese New Year in 2007. The complete series covers a 30-year period (including past memories) from the building of the Qin empire, to the end of the capital, Xianyang, which was attacked by Chu rebels. It features a juvenile named Tianming, who has the blood of heroes, grew up to become a hero, and change the course of history with his exploits. It is an inspirational TV series which combines martial arts, fantasy and history, and introduces the audience to the dynamic, magnificent and beautiful ancient Chinese world of two thousand years ago. The story revolves around a young protagonist, Jing Tianming who carries the blood of a hero, maturing from a weak and ignorant young boy into a great hero who single-handedly changes history. It chronicles his meeting with his protector, the master swordsman Ge Nie, who has betrayed the Qin Empire in order to protect Tianming. They join with the Mohists in the Machinery City who, after being attacked by the Qin forces, seek the protection and assistance of the Confucianists in Shanghai. The Emperor enlists the aid of the army under General Meng and other groups such as Quicksand, the Yin-Yang School and the Net Trap Organization to defeat the rebel forces. During this period, the Emperor is also constructing a great wall for defence of the empire, and builds a floating city to travel to three Immortal Mountains outside the East Sea of Shanghai city to obtain an elixir of immortality. The story unfolds on an epic scale, weaving history, fantasy and mythology with martial arts, swordsmanship, mechanical devices and magic. It traces an era of change, where, amidst the chaos and in the face of violence, dangerous enemies, difficult family relationships, friendship, love, sorrows and joys, eventually lead to the end of one era and the start of a new era in this romantic legend. 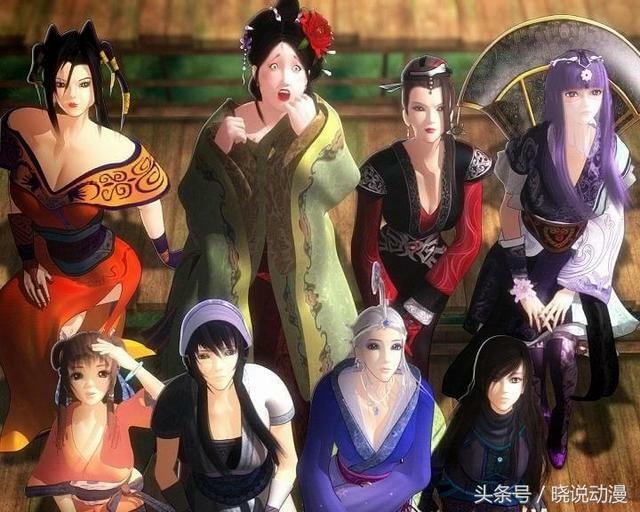 For a list of all the characters, see List of Qin's Moon characters. Jing Tianming: He is a bright and cheerful 12-year-old boy. He is playful although mischievous and is protective of his friends. He has a crush on Gao Yue (Yue-er), a girl under the care of Mohists, though he thinks that her big sister, Duanmu Rong, is a cold person. He sees Ge Nie as a father figure, and aspires to become a swordsman just like him. He also has a rivalry with Xiang Shaoyu, and a playful relationship with Master Ban. He has a passionate love of food (mainly roasted mountain pheasants) and goes berserk if someone eats his food or destroys it. Although quite shallow in certain aspects, his loyalty, bravery and innocence stand out as some of his more positive traits. Two driving aspects of his character are to become one of the most famous swordsmen in the world and the belief that his father will return to him one day. Gao Yue: Also known as Yue-er, she is a princess of the former Yan Kingdom and Yan Dan's daughter. She is quite cheerful, playful and generous, as well as kind and innocent. She generally gets along with everyone. She and Tianming are good friends, and she treats Duanmu Rong as her older sister, referring her as "Sister Rong". She is bright and intelligent and can analyse things very accurately. She solved mysteries in the Forbidden Land when nobody else knew the answers. She possesses great talent in Yin-Yang techniques and is taken into the Yin-Yang School by Moon Goddess. She is told that her real name is Ji Ru (Chinese: 姬如; pinyin: jī rú) and her courtesy name is Qian Long (Chinese: 千泷; pinyin: qiān lóng), bearing the same family name as Moon Goddess. Xiang Shaoyu: Shaoyu is from the royal tribe of the former Chu Kingdom. His character is based on the historical figure Xiang Yu, who defeated the Qin Dynasty with his army. He is very proud of his tribe, is extremely strong and has excellent kung fu skills. He has a friendly, cheerful and warm personality and quite knowledgeable. He is a logical thinker, good at analysing situations and events. He and Tianming have a friendly rivalry and behave more like siblings and insisted on Tianming calling him Big Brother. Shi Lan: Her real name is Xiao Yu and she is from the Shu tribe. She is a quiet and mysterious character initially working in Chief Ding's restaurant, but is extremely skilled in martial arts, lightness skills and the magic arts. She saved Tianming and Shaoyu who in later episodes seems to have fallen in love with her. It is possible her character is inspired by the historical figure Yu Ji, Xiang Yu's most loved consort. Ge Nie: A very important character in the story, he is the most powerful warrior in the Qin dynasty. Because of his skills, he became the primary guard of the king of Qin dynasty, however he betrayed the king and left the capital city Xianyang. His purpose was to save the young Jing Tianming from the king and protect him from the king' agents until they joined The Mohist (Mo Jia) group. During their period together, Ge Nie taught Jing Tianming, helping him to mature. Wei Zhuang: Wei Zhuang is the second strongest warrior in the Qin dynasty. He is different from Ge Nie, in that he is not interested in following anyone's orders. He created the Quicksand (Liu Sha) organization, a group of warriors some see as mercenary killers available for hire to the highest bidder. Wei Zhuang and Ge Nie had the same teacher at the Ghost Valley School who taught them to how to fight and think. Their teacher was the most incredible person within the Qin dynasty and no one fully understood his ability is or who he really was. Because Wei Zhuang had evil within his spirit, the master chose Ge Nie to succeed him, angering Wei Zhuang who fought Ge Nie to prove he was the best. The Qin shi huang, king of the Qin dynasty, hired Wei Zhuang to capture Jing Tianming.